Bridal portraits are a very popular Southern wedding tradition—and for good reason. It is a time when the bride can take her time, relax and have fun while capturing beautiful photos in her wedding gown. The photos make a great keepsake for the bride and her family, and are beautiful to display at the actual wedding reception. 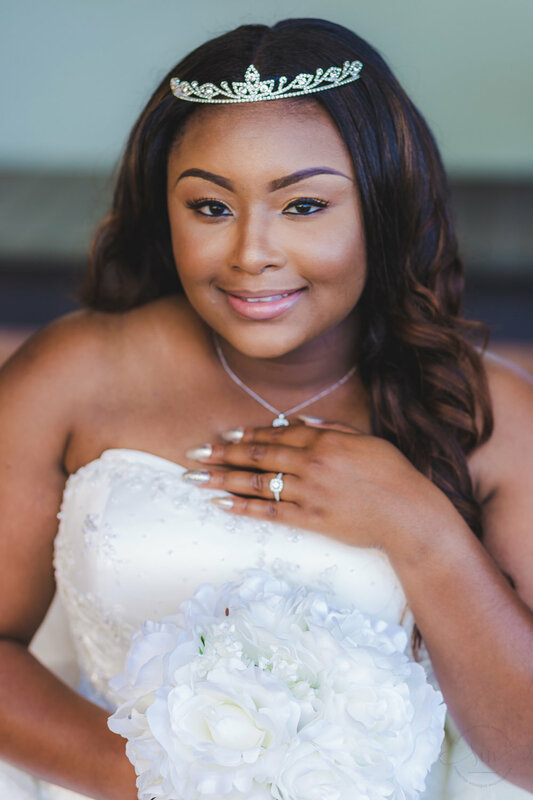 I had the honor of photographing Jazmine for her bridal portraits. She was my very first bridal portrait session, and I couldn’t have been more excited to take her photos—especially since she would soon be marrying my brother. After all, I had a wonderful time photographing their Charlotte Engagement Session last fall. When it came to selecting a location for the portraits, Jazmine was pretty flexible. She liked many types of settings—formal and informal, both city vibes and greenery. 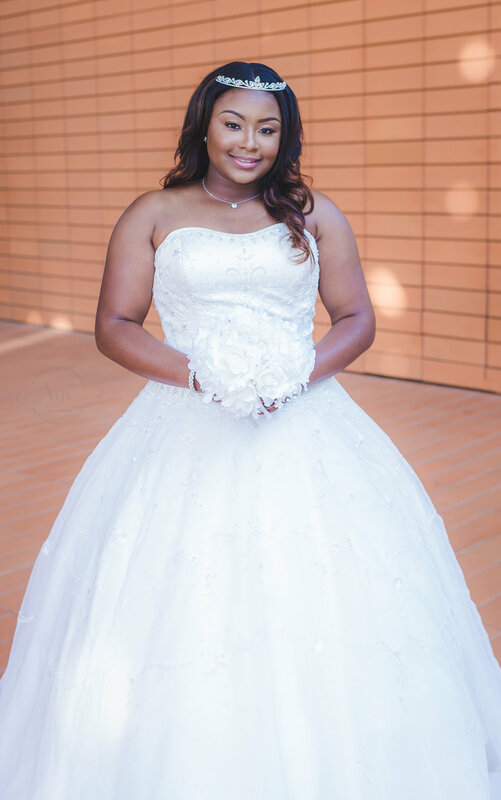 We initially scheduled to take her session at the UNCC Botanical Gardens, as that location provides lots of background options and because Jazmine was an alumnus of the university. 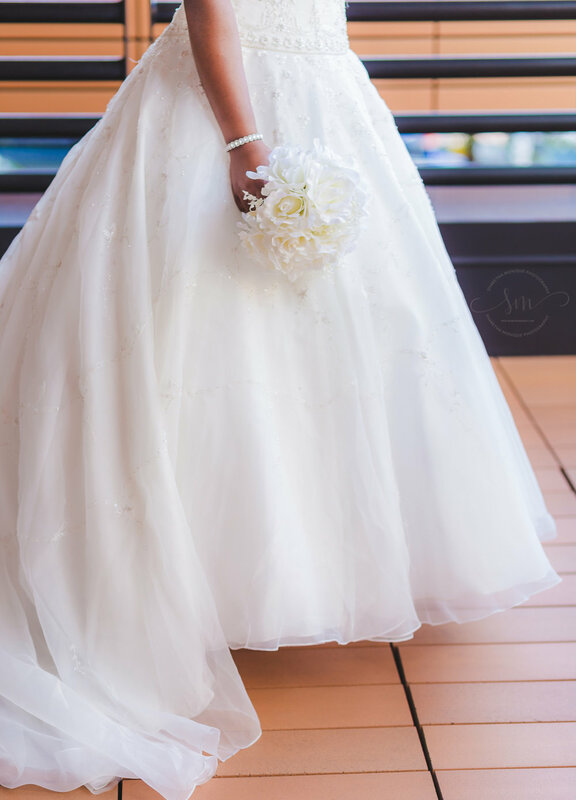 However, considering that we would be taking these photos in early August, and the fact that we didn’t want to chance getting her bridal gown too dirty, we decided to change the location to uptown Charlotte. Uptown Charlotte has a ton of scenery, beautiful museums, and a wonderful cityscape. 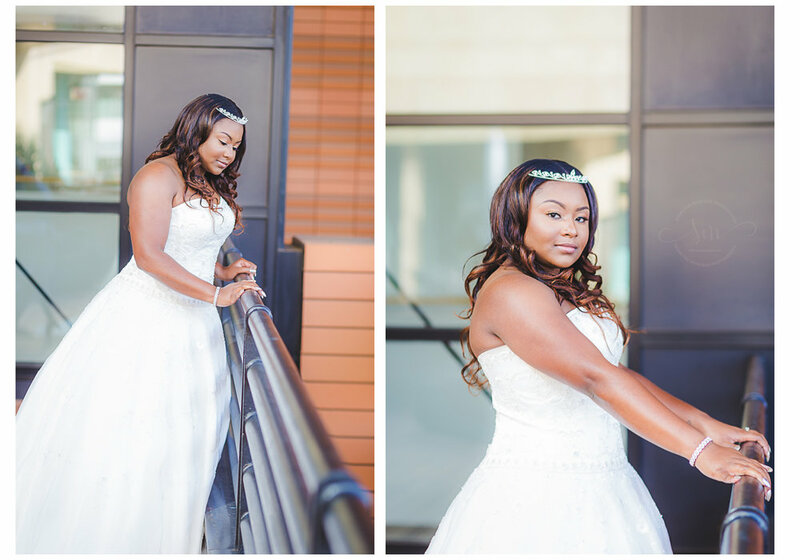 We decided to take Jazmine’s bridal portraits at the Bechtler Museum of Modern Art instead. When the day came for Jazmine’s bridal portrait session, the weather couldn’t be more perfect. It was a beautiful morning, and the staff at the Bechtler Museum of Modern Art was prepared for our arrival. Allison was wonderful to work with throughout the entire process and made Jazmine’s bridal portrait session just that much more enjoyable. When Jazmine came out to begin her session, everyone was speechless at just how beautiful she was. Her hair and makeup were flawless, and her wedding gown and bouquet were absolutely gorgeous. As we were getting towards the end of the bridal portrait session, we decided to take a few shots on street level outside of the museum. The Bechtler Museum has a beautiful work of art named The Firebird that is easily recognizable from the street. 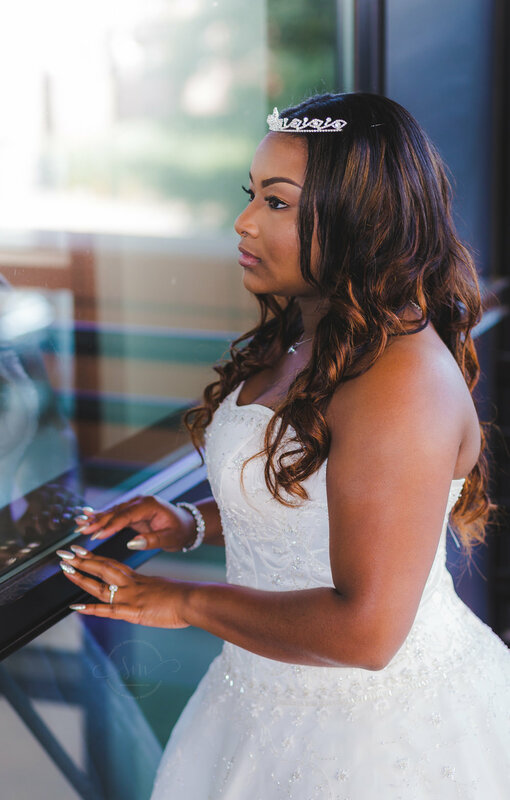 While we did not take any photos with the sculpture included, the whimsical artwork provided lots of great reflections that we were able to incorporate and enhance Jazmine’s bridal portraits. The timing couldn’t have been more perfect. 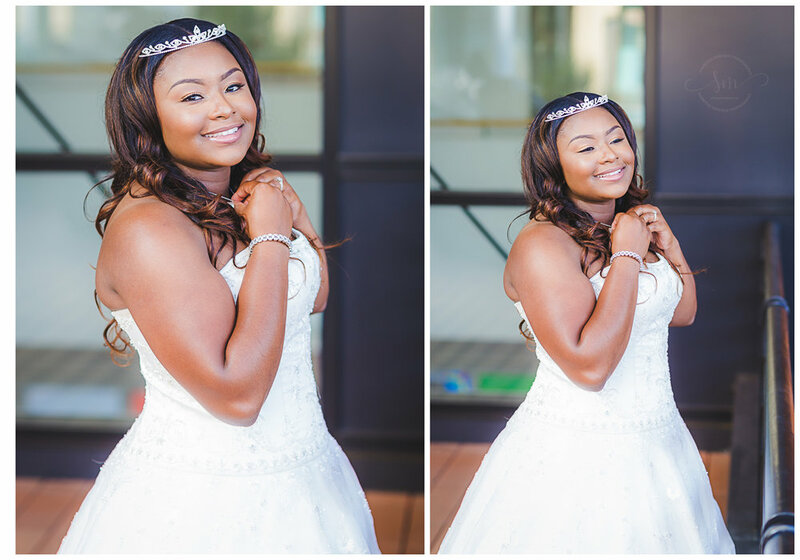 All in all, Jazmine’s bridal portrait session at the Bechtler Museum of Modern Art was beautiful. If you are looking to schedule your custom photo session in the Charlotte area, please contact me! Thank you so much for reading this blog post! I love featuring my clients’ images here (as well as some personal favorite images), and this will give you a glimpse into what you will receive when you commission me for your Charlotte Family and Children’s Photography.